Many of my favorite vegetables are technically fruits. Tomatoes, cucumbers, squash, and bell peppers all fall under that category. Botanically, the defining feature between fruit and vegetables are seeds—if it has seeds, it's a fruit; if it doesn't, it's a vegetable. In some ways, I feel like I should be ashamed. Under these strict rules, I'm certain I'll never meet my daily required serving of actual vegetables. There are only so many carrot sticks one person can eat. Rhubarb, however, is just the opposite. Though it's treated as a fruit in cooking and baking, it is technically a vegetable. Imagine that. Rhubarb grows from the ground on stalks, similar to celery, and sprouts poisonous leaves (which are only fatally poisonous if you decide to eat a few pounds of them). If it wasn't for all of the sugar needed to balance out rhubarb's tart flavor, I could have had a surefire way to get my vegetables eaten. I often feel rhubarb is an understated flavor. Given the chance to stand alone, it can be magnificently bold and tart all at once (a flavor profile I've truly grown to love). 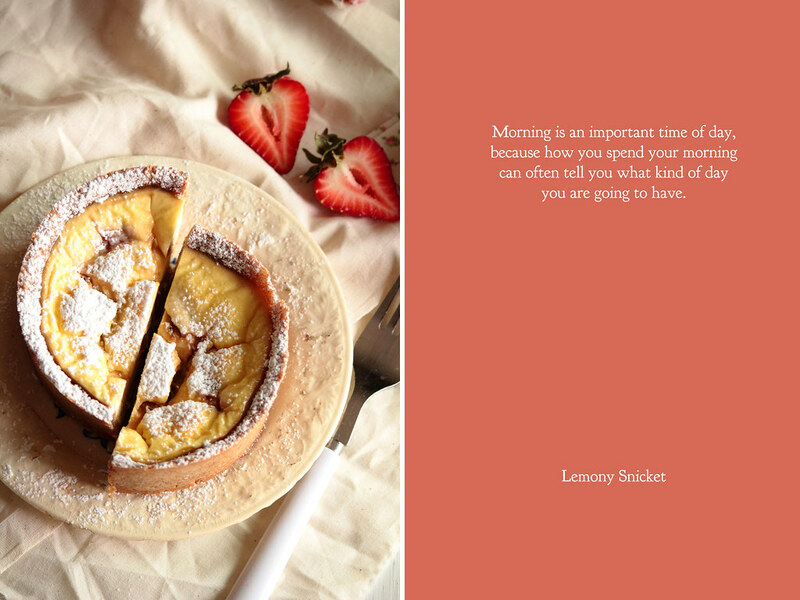 More often than not, however, rhubarb is paired with berries (particularly strawberries) in pies and desserts. While I do enjoy these combinations, every so often I feel like rhubarb should be given the chance to stand on its own. 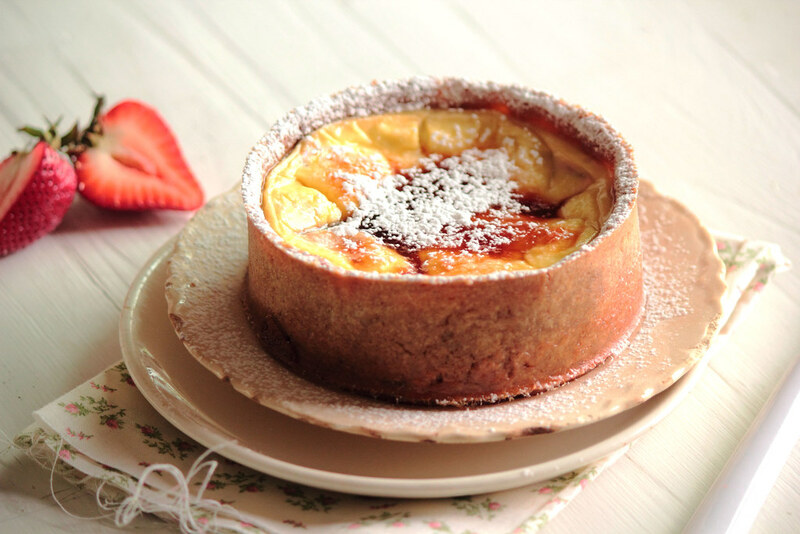 To gain a little independence and prove that it has what it takes to cook up a good dessert. 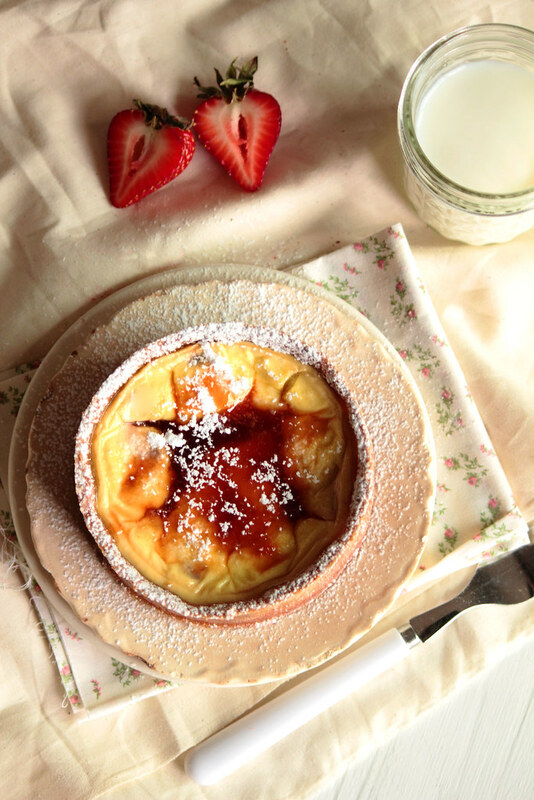 That is exactly the spirit in which these rhubarb custard tarts were created. These Rhubarb Custard Tarts combine rhubarb, cardamom, and orange into a treat perfect for light lunches and sweet breakfasts. 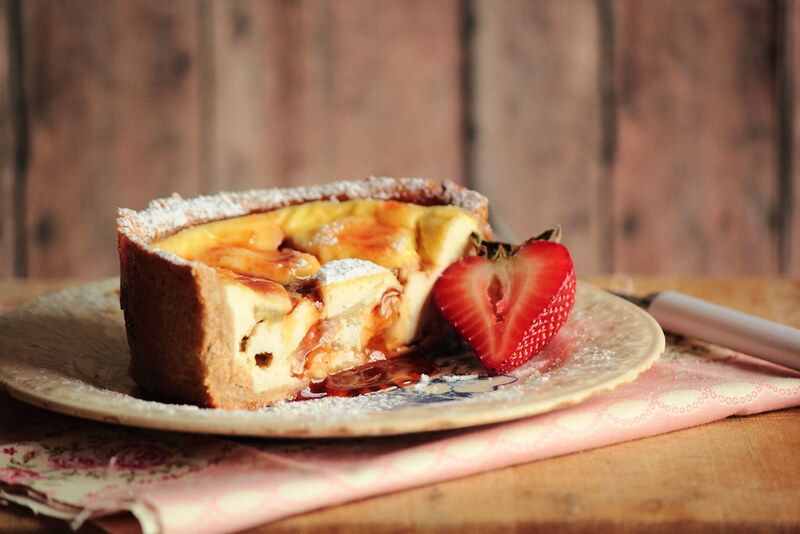 A whole wheat cardamom crust encases orange poached rhubarb with a sweet egg custard. The true star of the show, however, is the rhubarb orange syrup drizzled on top (it's simply a reduction of the liquid the rhubarb was poached in, but there is so much flavor). 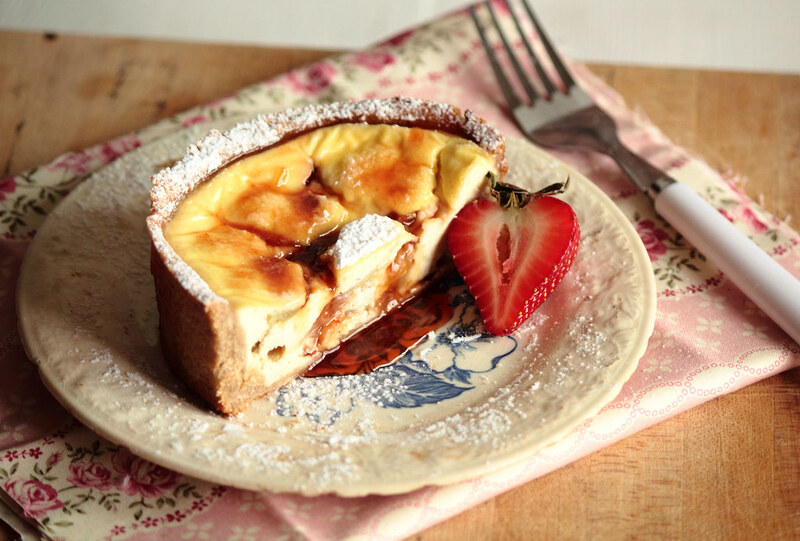 I enjoyed this tart both warm from the oven and chilled from the refrigerator as leftovers the next day. I am but a humble self-taught photographer. Everything I know about photography I've learned through trial and error. A year and a half's worth, in fact. Every time I set out to shoot a new dish or dessert, I learn something new. Food photography has grown into something I really enjoy. It's challenging and difficult, true, but there is such a sense of satisfaction when a photo turns out just right. Yet, there is always more to learn. One of my New Year's resolutions this year was to take a photography course. This summer I did just that. While I knew so much about a few topics, in others I knew virtually nothing. It was definitely a growing experience for me as a photographer. When I take my camera out of the quiet of the kitchen, there is a moment (or two) of real panic. Photography intimidates me. Portraits and landscapes strike an honest fear deep within my heart. Since I am most familiar with still life photography, I get a bit unnerved when things begin to move out in the real world. People walk around. Trees sway in the wind. Vehicles are constantly stealing the limelight. It makes getting the shot I want nearly impossible. I have so much respect for all the professional photographers out there. In the kitchen, I'm the boss. I manhandle the cookies. I govern the fruit with an iron fist. Not a stray crumb will leap out of place. Not on my watch. I direct the light, shadows, and composition. Food photography makes me feel in control. It is my comfort zone. But, just as staying in comfort zones is all and well, it's important to step out of them just as often as you stay in. This is what the photography course was all about for me. I left my comfort zone completely and tried out new subjects (people! Nature!) and new techniques (like HDR). Whether it has made me a better photographer, I'll never know, but I am certain it has made me a much more informed one. And, really, that's all I can hope to ask for. Note: I will be vacationing in Portland and the Oregon coast over the next week. I may be a bit scarce in the coming days, but you can bet I'll be back with many new stories and recipes to share with you before you know it! I can never stray from pastries for too long. See you soon! 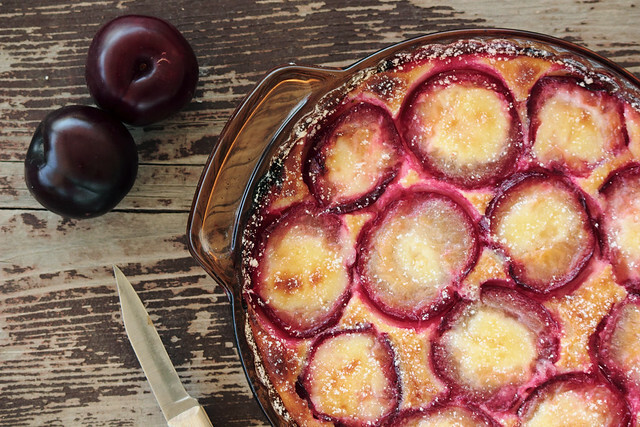 I first made this Plum Clafouti a year ago, at the request of a roommate. In the next few weeks, I couldn't help but make it a twice more. 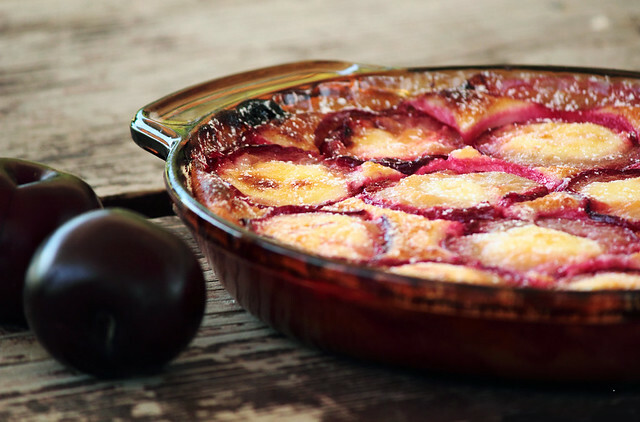 This Plum Clafouti is delicious. 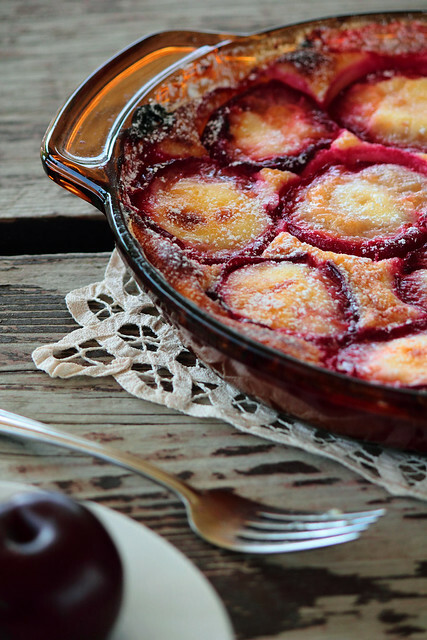 Before the plums go into the clafouti, they are lightly sauteed in butter and sugar, rendering them soft and utterly divine. 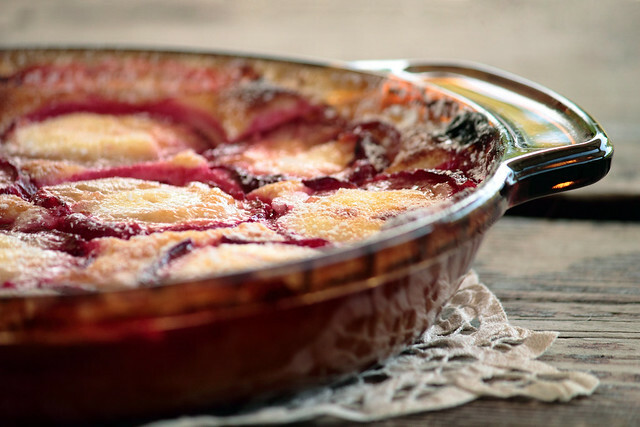 Cream and eggs are combined and poured over the plums, which sets into a thick custard during baking. This clafouti is best served warm, but I gobbled it up just as quickly when it was cold (and for breakfast, no less). This is a summer dessert—light, with more than enough fruit to make you forget about the butter and cream.